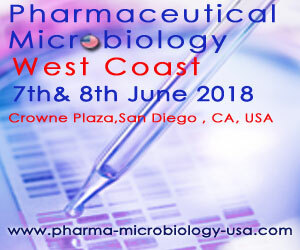 Pharmaceutical Microbiology West Coast is back after a successful launch event in 2017. This year the conference is taking place at the Crowne Plaza San Diego, CA, USA on June 7th and 8th, 2018. Ms. Ziva Abraham, CEO at Microrite. Ziva has 25+ years of academic, research, clinical and industrial experience in microbiology and quality assurance. She received her master’s degree in microbiology with a focus on mycology and has conducted research on developing microbial Insecticides using entomogenous bacteria and fungi for her PhD degree. At present she is the CEO and Founder of Microrite, Inc., a California based consulting firm providing consulting and training services to pharmaceuticals, biotechnology, medical devices and in vitro diagnostics in the areas of quality assurance, quality control, microbiology, and validation. As well as chairing the 2-day conference, Ziva will also be doing a presentation on Underlying issues behind microbiological data deviations and data integrity on day one of the conference and co-hosting one of the two pre-conference workshops, details below. Lisa received her Bachelor of Science in Biochemistry at UCLA and Doctorate of Philosophy degree at USC Keck School of Medicine in HPV and Prostate Cancer Immunotherapy. Within a year at being at Shire, she was given a new opportunity to be part of a center led team, Global QC/Microbiology, responsible for the development of a harmonized microbiology approach across the Shire network. Ron is responsible for providing quality oversight to External Manufacturers producing sterile Drug Product. Ron serves on J&J Sterility Leadership Team, the JSC ESIQ Extended Leadership Team, and the JSC Microbiology Review Committee. Ron is an advocate for the implementation of Rapid Microbiological Methods in PAT and has gained FDA and EMEA approval for the use of rapid-sterility tests, and real-time viable particulate samplers for the manufacture and release of drug products. Elia has over 12 years of experience in Biotechnology Quality Control Laboratories. She is also a technical expertise in Method Transfers, Method Validations, New Product Introductions and Quality Systems such as Non-Conformance Investigations, CAPA and Change Control. Servant Leader, regulatory and compliance driven, as well as continuous improvement and Lean Six Sigma Expert. Dr Sanchez studied a BS in Biology, a Master’s Degree in Environmental Health and a PhD. in Environmental Microbiology at the University of Puerto Rico and the University of Medicine and Dentistry of New Jersey. She is experienced in leading multiple teams, implementing Rapid Microbial Test Methods and is an expert in Bacterial Endotoxin test methods. Dave earned his Ph.D. in microbiology from the University of Maryland at College Park (UMCP) and has also served as a research microbiologist at UMCP, the US Department of Agriculture and the US Naval Medical Research Institute. He retired from the Commissioned Corps of the US Public Health Service after 30 years with the Food and Drug Administration (FDA). David is also currently the chair of the USP Microbiology Expert Committee for the 2015 – 2020 cycle. Heidi Anderson is a scientist in microbiology and environmental monitoring, she began her career at Abbott and has continued to work there for 15+ years. She graduated from the University of Wisconsin with a degree in Medical Microbiology and Immunology and now specializes in testing, facility design, risk management, aseptic techniques and gowning for non-sterile or microbially controlled manufacturers. She has extensive experience with FDA inspections of non-sterile production facilities. If you would like to attend as a delegate at this event take full advantage of the exclusive special VIP offer at US$999* for the 2-day conference (standard price is at US$1999 – saving you US$1000)! Open to the first 25 registrations, offer ends February 28th, 2018 (*subject to terms and conditions as stated below). Register online by clicking here www.pharma-microbiology-usa.com/PR1 or call Keiron on +44 (0) 207 827 6744. * The exclusive VIP price is solely applicable to pharmaceutical, biopharmaceutical and biotechnology companies and subject to final approval by SMi Group. This special offer is available to new registrations only and valid to the first 25 registrations only until February 28th, 2018. Sponsored by: Associates of Cape Cod Inc, Biomerieux, Charles River, Fujifilm Wako Chemicals US Corporation, MilliporeSigma and Roche.